Do you ever get home tired after a hard day’s work and you just want to sit, relax and enjoy the sunset? We all do. Evenings should be for relaxation. Without a comfortable outdoor hanging lounge chair, your dream of a beautiful evening is just but a dream. 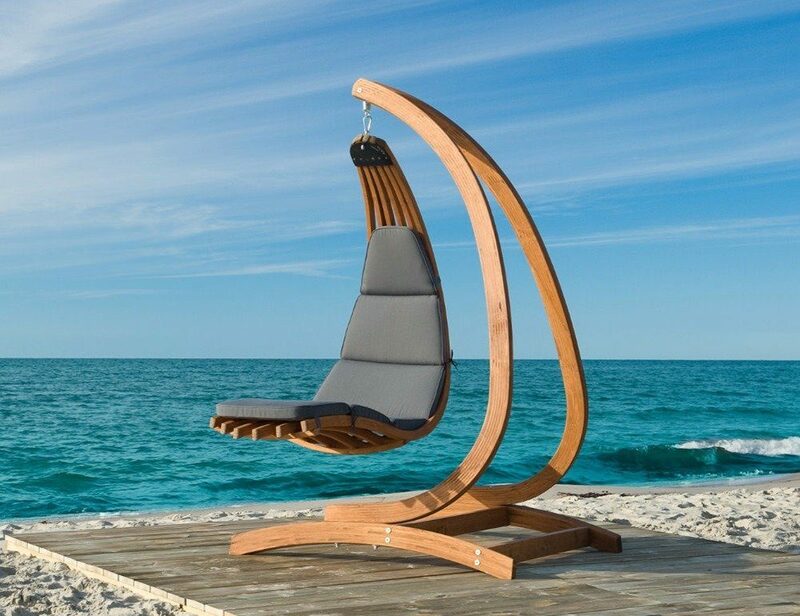 That’s where the Jagram Lifestyle Luxury Timber Hanging Chair Lounger named “Wave” comes in- to make your dream a reality. 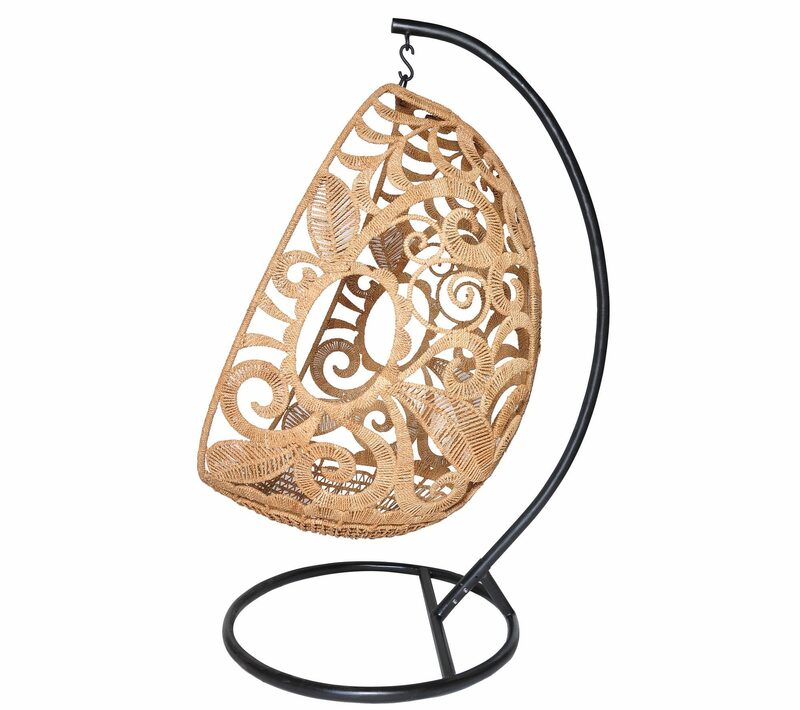 It is not only comfortable but also bound to give your balcony a classy look. 2.1 Why to Buy it? 2.3 Who is Jangram Lifestyle? 2.4 What Are The Alternatives Available? 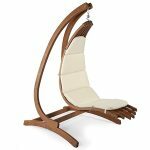 The unique features of the Wave Hanging Lounger will create an immediate impact and a very positive impression on wherever it is located. 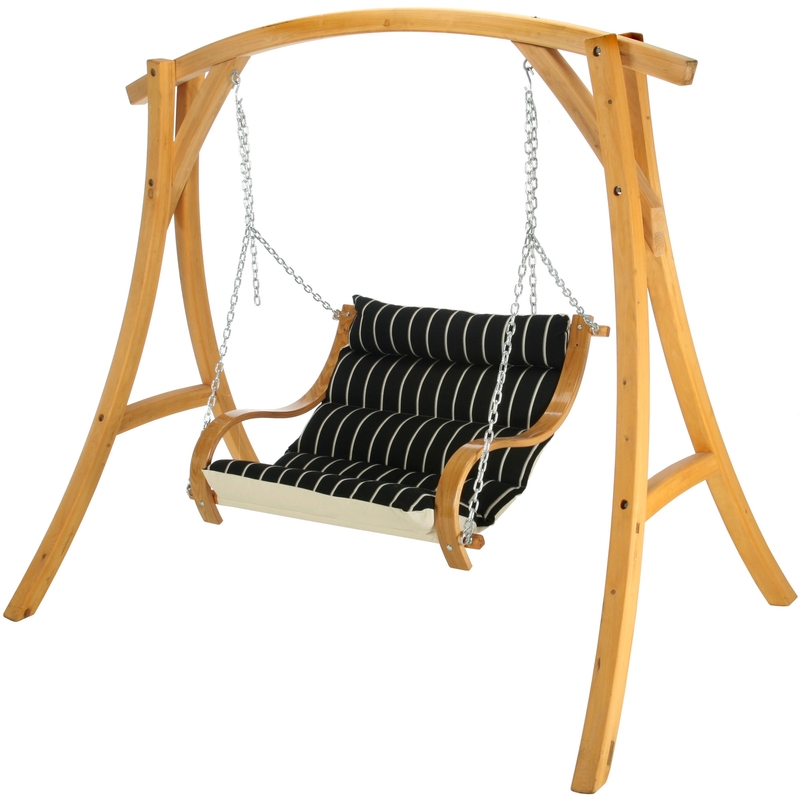 A top-of-the-range piece of furniture perfect for relaxing after a hard day, this wooden hanging chair is designed for comfort. It comes in a size of 57” height and 25” width, with the option of adding a stand. With its specially designed polyester mattress, it is perfect for both indoor and outdoor occasions regardless of the weather conditions. Its beautiful design and colors make the moodsetter for your lounging room. If you enjoy watching the rainbows form during a light shower, this is what you need for your balcony. There is no worry of you falling on your back while lounging. Made from the Scandinavian spruce, the Jagram Lifestyle hanging chair lounger is strong enough to support the weight of up to 120 kgs. The chair is assembled upon arrival and is therefore easily portable when you are moving houses. The lounger is made with only one thing in mind- comfort. From its design to the curves and the color, everything about it says – comfort. Curved to perfection and layered with a polyester mattress, this chair is what you need to relax your stiff back after a hard day at work. Using a stand allows flexibility, as placement can always be changed, while using just the seating part, allows you to create a permanent installation, by hanging it from a tree or ceiling. 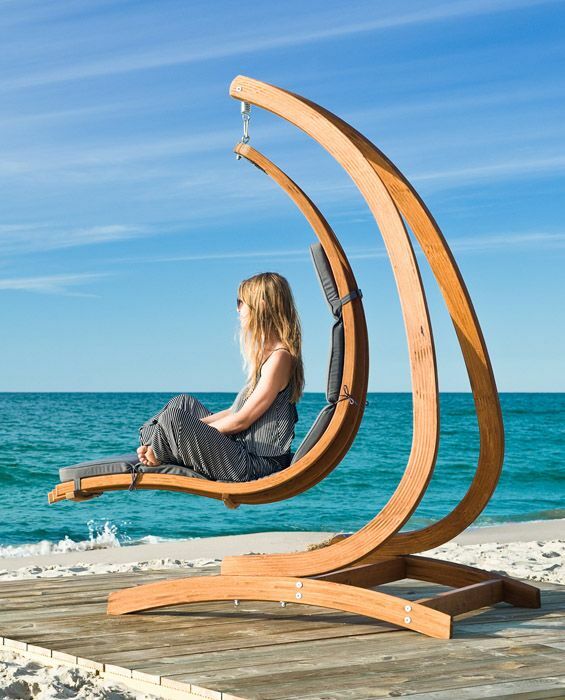 Whether you install Wave hanging lounger in your living room or in your garden, your relaxation is guaranteed with this swing. Rest easy and enjoy your evening. It is made from strong materials, so you don’t have to float away while worrying whether you will be brought back to earth, literally. It is made with wood from the Scandinavian spruce and can support up to weight of 120 kgs. It is also easy to maintain as it only needs occasional polishing to retain its exquisite natural wood color and look. 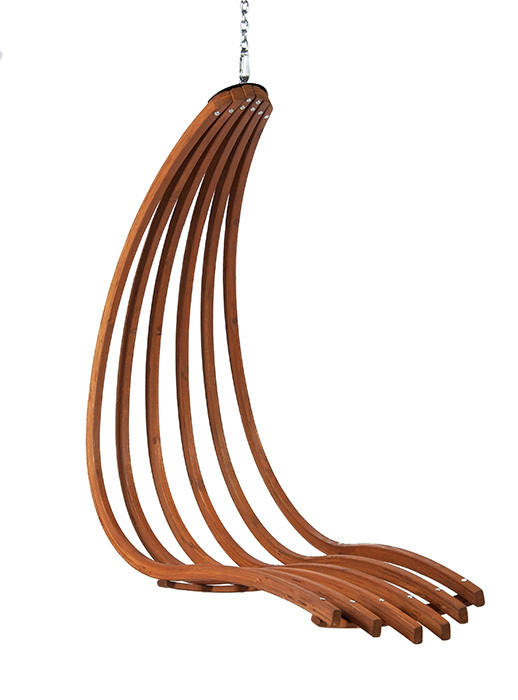 One of the biggest pros of this lounger is its curved design which is perfect for resting a tired back. You want a light afternoon nap that won’t end up with you looking like you were taking a nap down an alley, then this is the chair for you. Another advantage of the chair is its strength. If you haven’t hit the gym in a while and is a little out of shape, you don’t have to worry whether you will break it and ruin a good thing. It is made from strong wood that is able to withstand great weight. If you are an outdoors person, you don’t have to worry about carrying the chair indoors whenever you see the clouds gathering up. Its mattress is designed using a special material that can withstand outdoor conditions. The only downside to this chair is its high price. With the chair going for $1200 (and $1900 if it comes with a stand) on Amazon, you may need to dig into your savings to be able to afford it. The Jagram Lifestyle line creates modern furniture with a team of designers and engineers. They are well known for two things: natural materials and production process that meet the highest standards. Jagram uses only verified high quality and 100% FSC Scandinavian timber. The combination of excellent and natural materials and progressive and modern designs results in overwhelming, comfortable and durable leisure outdoor furniture with a unique European flair. Some evenings are just perfect for coupling up, sitting together and holding hands. Or you just want to stretch your whole body instead of sitting up. 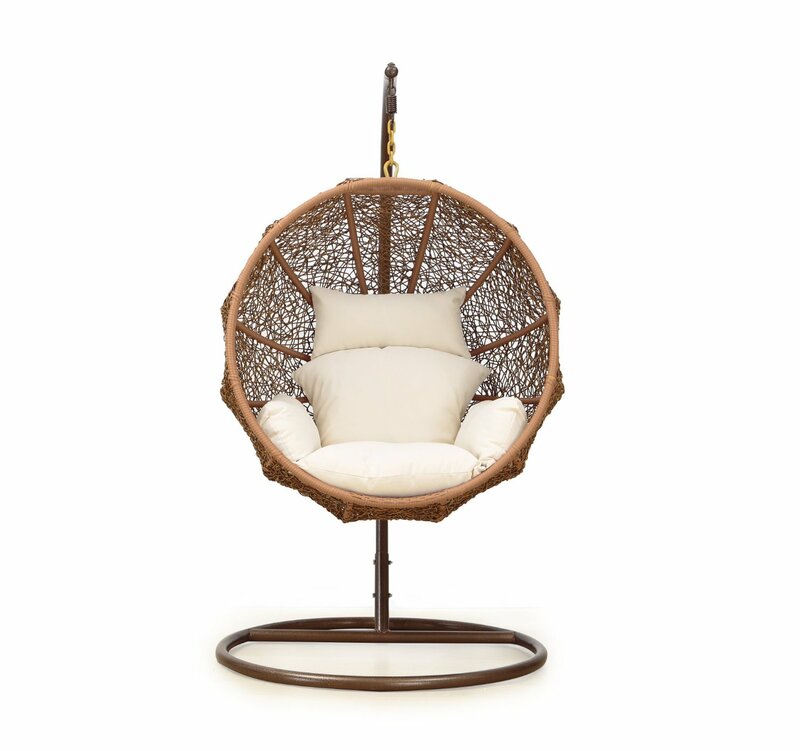 Then you might consider getting the Globo Royal Double Chair instead. The chair comes with a cushion cover that is designed to withstand outdoor weather conditions, though it is advisable to bring the cushion in during extreme weather conditions for it to last longer. But if you are into curling up in a comfy position, then the soft deep fluffy cushions of Gaya Hammock Basket-Dralon Cushion Set is the best alternative for you. 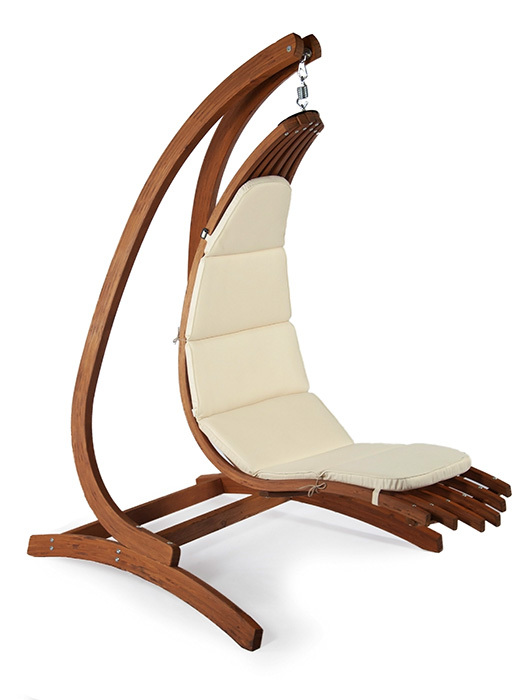 The Jagram Lifestyle Luxury Timber Hanging Chair Lounger is exactly what you need for a relaxed evening and for your body to unwind after a long day. It may be a little bit too pricey, but you will be getting value for your money with this. It is a chair worth making savings for. After all, enjoying a relaxed evening is such a priceless thing worth investing in.